Our Rotarian of the Day tomorrow is Kim Byers. I'm sure she will have a great program for us. Please remember that our Birthday Auction will be next week with Gregg Lynes serving as our auctioneer. President Mike sent out the listing of birthdays for this quarter last week, so we know there are some exciting things to look forward to. Be ready to bid on the "gifts" offered by our birthday celebrants. Money collected will go to their selected charities. Tom Downs reported that he talked to Patty Borseth this morning and Eric is still in the hospital. They had thought he would be able to go home last Friday, but the doctors have encountered some things that need to be attended to before he can be dismissed. He is becoming frustrated because of this delay, and appreciates our continued thoughts and prayers. President Mike is encouraging people to sign up for the Grand Management Seminar on February 23 from 8:30 a.m. to 11:30 a.m. in West Des Moines. There is no cost, but if we want to apply for a grant, we must have people in attendance. Sign up on the District 6000 website. 2019 Bowling Bash, Friday afternoon, February 22. This is a very important fund raiser for the Iowa Technology Expo and other community projects. We would like to fill all the lanes at the Great Escape this year. Please check with Mike to get the forms for sponsorships and to register your team (or teams). Mike needs the names of your team members this week so he can get them to the bowling alley before the event. Also, if you need to sign up for an auction item, please let Mike know. Please continue selling the raffle tickets for the $500 prepaid credit card. Kalyn Cody, a Family Financial Specialist for Iowa State University Extension and Outreach brought us information on ISU's extension education and assistance programs dealing with family financial needs. Thanks Darrell for hosting Kalyn. It's good to know that these types of programs are available. This week we will meet in our committees. These are important meetings, so please plan to attend if you are in town. I know it's the day after Christmas...and it's early, but we hope to see you there. President Mike Hartwig will be asking for advice for selecting a President-Elect-Elect. Marie will have tickets available for the Rotary night at the Iowa Wolves' game on February 2. We haven't reached our goal of 100 yet, so please consider purchasing some for either yourself, or to give back. Norma Bettis is Sergeant at Arms. Upcoming - 2019 Bowling Bash, Friday afternoon, February 22. This is a very important fund raiser for the Iowa Technology Expo and other community projects. We would like to fill all the lanes at the Great Escape this year, so start getting your teams together now. All forms are available to print from the East Polk Rotary website. Last week Kyle Davy from the Iowa Wolves and Bill Corwin from the Northwest Rotary Club brought us up to date about Rotary Night at the Iowa Wolves on February 2, 2019. We have committed to sell 100 tickets again this year as our participation with Polio Plus in coordination with the Iowa Wolves. Please be prepared to purchase your tickets for this very important cause. 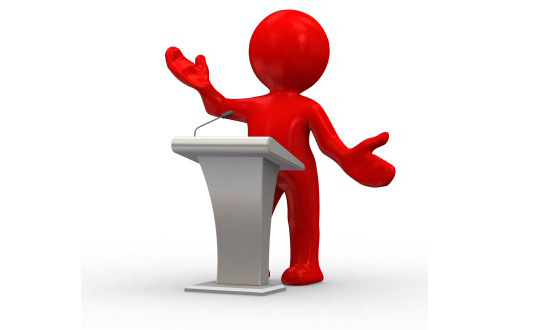 Tomorrow Darrell Hansen will present our speaker, Mr. Kalyn Cody. Kalyn is the Family Finance Specialist for Iowa State University Extension and Outreach. He works out of the Polk County Extension office in Altoona. He will discuss ISU Extension's education and assistance programs dealing with family financial needs. Paul Cornelius is Sergeant at Arms. There will be a board meeting after the meeting tomorrow. Club Service - Winter Party - January 20 - Will be a progressive dinner like last year. Looking for Rotary members to volunteer their homes. Community Service - Marie reported that she had delivered the gifts for our "adopted family," and they were very well received. Also needs to sell a few more tickets for Rotary night at the Iowa Wolves on February 2. Vocational Service - Still working on the Bowling Bash. Corinne will visit some of the shops at the Outlet Mall to solicit sponsorships. International Service - Planning a Trivia Night for the end of April. Announcement for other future plans to come later. Youth and Family - Will be meeting with the Interact Club. Also looking for students to attend RYLA this summer. Mike Hartwig's speaker this week is Middle School Counselor and Football/Track Coach Pete Drury who will be sharing about his health journey. Pete lost 95 pounds during the last half of 2017 and has kept it off since reaching his goal weight in February 2018. Because of that, he has become a Certified Health Coach and is helping literally hundreds of people all over the country lose weight, feel amazing, get off medications and learn the healthy habits to help them keep the weight off after they lose it. He is the real deal and Mike encourages all of us to attend and hear his story! You won't want to miss it. Sergeant at Arms - Clay Willey. Wow, what a fun program last week. For our quarterly birthday auction, we celebrated the following birthdays: Kim Byers, Kevin Jasa, Adam Kline, Gary Palmer and Bruce Mason. East person brought a gift to be auctioned to our eager bidders. The proceeds were donated to each person's designated charity. Kim Byers - Dorothy's House; Adam Kline - Bondurant Education Foundation; Kevin Jasa, the Child Advocacy Center; and Gary Palmer and Bruce Mason to Polio Plus. Each of them was then asked to give a brief synopsis of their personal and professional life. We are now looking forward to the end of next quarter for another fun birthday auction meeting. Notes from the Board Meeting - Planning for ten library boxes to be placed in Altoona, Bondurant, Pleasant Hill and Runnells. Further discussion on that at our meeting tomorrow. Also, the Community Service Committee will be suggesting ways to help needy families at Christmas. President Mike will be announcing plans for January as fitness month. And, still looking for someone to serve as president-elect-elect. This week we will meet in our committees. Marti Kline is Sergeant at Arms. Last week Adam Kline brought us up to date on proposals for the old '76 truck stop location, and the many things going on in Bondurant. Thanks Adam for a very interesting program. This week is our quarterly Birthday Auction program. We are looking forward to the special items to be auctioned off by our "extraordinaire" auctioneer, president elect Mr. Gregg Lynes! Anyone who had a birthday during this past quarter is welcome to bring their gift to be auctioned with the proceeds going to their designated charity. This will be an exciting program; don't miss it. Tom Downs is Sergeant at Arms. Melissa O'Neil from Central Iowa Shelter and Services, the largest homeless shelter in the Des Moines area, was our speaker last week. It was alarming to learn that there so many people who are in extreme poverty right here in the center of Iowa. Thanks Melissa for your enlightening presentation. And thanks to Melissa Horton, Executive Director of the Altoona Chamber, for all the great programs you brought to us last month. This is Caring Hands week, so please be prepared to make a donation tomorrow. We are looking forward to another great program from our Rotarian of the Day - Marti Kline. 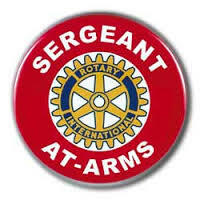 Steve Hall is Sergeant at Arms.